The 2016 NFL season begins now, with 32 teams scheming to knock off the reigning champion Denver Broncos. The NFL Draft is just around the corner, but the first step in any offseason plan is to assess a team’s needs. 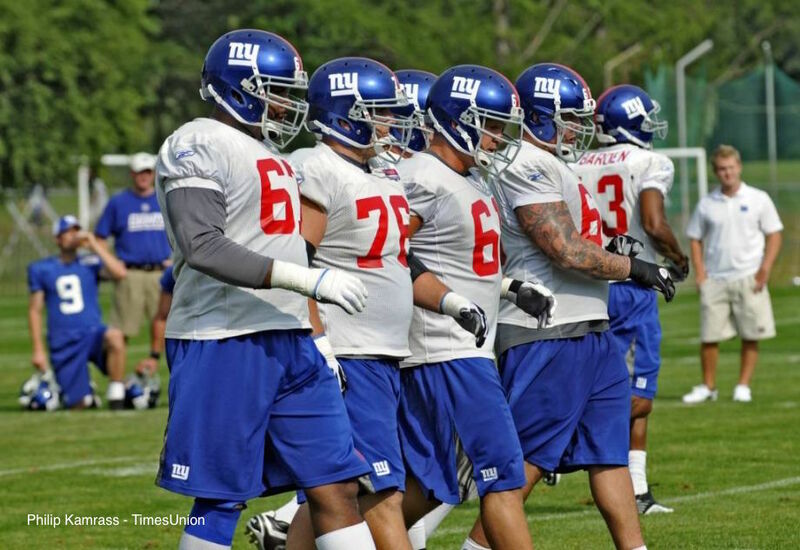 Here we look at what the New York Giants team needs are. Life after Tom Coughlin has begun for the New York Giants and new head coach Ben McAdoo, who was promoted from offensive coordinator. Mike Sullivan takes over for McAdoo as the offensive coordinator, having served previously as the Giants’ quarterbacks coach the past season, after a stint as the offensive coordinator in Tampa Bay. Meanwhile the defensive side of the ball will be the purview of Steve Spagnuolo, for the second season in a row. Spagnuolo interviewed for the head coaching position, but after that was given to McAdoo he returned to the team as the defensive coordinator. . Having spent big in free agency to address their most obvious defensive needs, the Giants will be looking for Olivier Vernon to produce pressure off the edge and for Janoris Jenkins to provide the coverage needed when Vernon and the pass rush do not get to the quarterback in time. Spending big in free agency on their largest needs, the Giants have one clear hole remaining on defensive, giving them a shot at the best or second-best ranked prospect at his position. While last year’s second round pick Landon Collins had a good rookie season, the Giants will most likely be looking to add another talented safety to play alongside him with the 10th overall pick. Historically, the Giants have not invested in tight ends, either in free agency or in the draft. So while this is, on paper, a major need it is highly unlikely that the Giants will do anything about it before Day 3. Their most productive players have been found in Round 4 or later, or in the undrafted free agent market. Expect the Giants to scour the tight end market for a hidden gem in the draft or to find a street free agent after the draft who can fit their basic template. Odell Beckham Jr. might be the top receiver in the National Football League. But with the other question marks at this position on the Giants’ roster, defenses are able to roll coverage over Beckham and slow down the Giants passing game. Victor Cruz is expected to return, but given his injury history the organization can not know what to expect from the former UMass star. While special teams ace Dwayne Harris brings value to the WR depth chart, the variety of pass catching options could be an area the Giants look to improve in the draft, going WR over TE as a general organizational philosophy. While the Giants head into 2016 with a nice pair of complementary talents at running back, Rashad Jennings and Shane Vereen could use an understudy. Vereen could step into the three-down role if Jennings were to fall to injury or under-perform, the versatile pass-catching back is better in limited snaps as a weapon in or out of the backfield. Adding another running back, especially one who is adept in short yardage, or between the tackles, may be something that general manager Floyd Reese looks to accomplish. In 2015, the Giants invested in their future at offensive line, tabbing raw but exceptionally talented left tackle prospect Ereck Flowers. The big rookie stepped in for veteran Will Beatty and protected quarterback Eli Manning admirably. While Beatty has moved on, and Mitchell Newhouse holds down the right side after Geoff Schwartz’s departure, the Giants will be looking at depth and upgrades on the right side, having settled on their left tackle of the future last season. Justin Pugh is slowly developing into a force at left guard and veteran John Jerry will once again man the right side, but New York will be looking at both depth and a long-term solution at guard. While not a pressing need this season, Guard is closer to a major need than a depth need for the Giants and it would not be surprising to see New York secure a top-tier prospect in the first round if there are no safeties they like on the board. Failing this, the Giants might decide to seek an immediate upgrade on Jerry in the second round if a player they like is available. Uani Unga broke out in 2015, as predicted by ITP’s Chief Scout Dan Hatman in his season preview. Unga is ready to hold down a starting role in 2016 but the Giants may be looking for a depth piece or even an upgrade. Former starter Jon Beason retired after the last few seasons being plagued by injuries. The Giants secured the services of Jenkins in free agency but may still be looking to add talent to this group, having lost starter Prince Amukamara to free agency (as of this publication date). Dominique Rodgers-Cromartie had an impactful first season at left corner, and Jenkins is ready to ably man the right corner, while slot corner Trevin Wade is also a solid option. However, depth is always needed in case of injury and it should not surprise anyone to see the Giants look to add more depth to their secondary, even after filling their hole at safety in the early rounds of the draft. There was some crazy talk last season about whether or not Manning was nearing the end of the road, but armed with a new contract extension and motivation to break his Super Bowl title tie with now-retired brother Peyton, expect Eli to continue to light up scoreboards for many years to come in Giant blue. Weston Richburg is undersized and can be pushed around by the larger, stronger defensive tackles, but he’s also a terrific leader of the OL and his mobility and smarts have convinced the Giants that he is their center now and into the future. Signing Vernon to a big money contract is a risk, but one the Giants probably needed to take, given the sorry state of their pass rush and the dearth of talent on the open market. Rolling the dice and hoping an edge rusher would fall to them was also not a viable option. Bringing back Jason Pierre-Paul for another season – in which New York hopes the explosive rusher will learn how to overcome his missing digits – gives the Giants two legit threats off the edge along with some depth with Kerry Wynn backing them up. A Day 2 investment in an edge rusher makes a lot of sense, given the uncertainty of JPP’s health, but is not a necessity. Meanwhile, the Giants also went out and secured the services of the underrated Damon “Snacks” Harrison, who quietly made the cross-town Jets defense stout against the run by being an immovable object in the middle. Harrison won’t put up big sack numbers, but he will clog the middle and allow the other players to play 1-on-1, commanding a double-team whether the other team schemes for it or not. He’s quick in a phone booth, and immensely strong, holding his ground against multiple blockers at the point of attack. The Giants have a plethora of talented outside linebackers who can fill various roles. Jonathan Casillas is an excellent rotation player, providing value on special teams as well as in passing situations. Devon Kennard is a stout player against the run who is becoming more reliable on all three downs with each passing year. Mark Herzlich is an overachiever with tremendous football instincts, and J.T. Thomas provides depth on both sides and in all situations. New York does not figure to be looking at this position, given the depth already on the chart. Josh Brown is a reliable kicker, while Brad Wing is among the most entertaining players in the NFL, in addition to being an above-average punter. Wing is a personal favorite of ITP’s special teams expert Chuck Zodda, who has been impressed with the Aussie’s ability to execute a fire call. To listen to the Inside the Pylon Mock War Room Draft New York Giants episode with Ronnie Carlton of IBN of his staff click here.